London - Much-travelled defender Ezequiel Schelotto will provide the experience struggling Premier League new boys Brighton and Hove Albion need, said manager Chris Hughton after he signed on Thursday from Sporting Lisbon. The 28-year-old right-back, an Argentina-born Italy international with one cap to his name, signed a three-year contract for an undisclosed fee with the Seagulls, who become his ninth club. 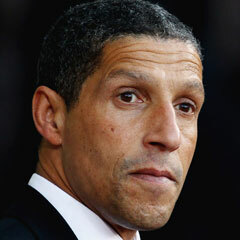 "We are delighted that Ezequiel is joining us," Hughton said in a statement. "He has made nearly 190 appearances in the top flight in Italy and Portugal and has played in the Champions League, and is the type of experienced player we want to add to the squad. "He can also play as a more attacking wing-back and so gives us some good options in defence." Schelotto, who has earned the nicknames 'Greyhound' and 'Musketeer' for his dashing forays, began his career with Cesena and in a second spell there helped them gain promotion to Serie A in the 2009/10 season. Since then he has played for Italian clubs including Atalanta, Chievo, Catania and Inter Milan. He had been at Sporting since 2015. Brighton have also signed Dutch international goalkeeper Tim Krul from Newcastle United on a season-long loan. The 29-year-old previously played under Hughton at St James' Park. "I know Tim from my time at Newcastle and he is an excellent professional that has a vast amount of experience at both club and international level," said Hughton, whose side have picked up one point from their first three games.